Helping you maintain key control is our top priority. Who has keys to your facility? How many keys have been made without your knowing? 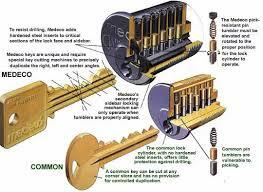 Need to re-key and want key control? We have a complete key solution for you and recommend two of the industry’s best lines in High Security locks like ASSA, Medeco, And Shlage all with absolute key control locking systems that provide the user with unsurpassed levels of control.